There’s no one-size-fits all place to retire. What sounds like a great retirement scheme to your neighbours might not appeal to you at all. For one thing, you might choose to retire earlier—at an active age when the last thing you want is an organized group home. If you’ve lived an adventurous life, you’re probably not in a rush to conform to the rules and schedules of a retirement community. Luckily there are more options! Maybe it’s time for your log cabin in the woods, your log lake cottage, or your log lodge beside the golf course! 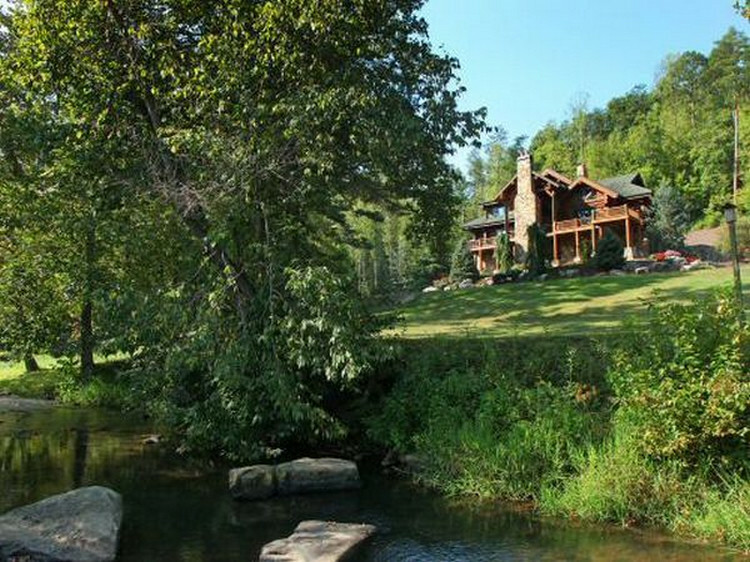 Have you always dreamed of living in a log cabin home? The natural beauty and traditional character of a log home appeals to many couples who want to create a haven for themselves and their families at a stage in their lives when they have time to enjoy it! Reward yourself with the home you’ve always wanted and keep making memories during your retirement years! If you’re in good health, active and financially stable you’re in the perfect situation to wrap up your career and settle into the good life. When you’re not longer heading to work every morning, your home base is more important than ever. “Aging in place” is increasingly popular with independent mature adults today. If you’d like to spend many retirement years in your dream home a little planning will go a long way. 3. Sunshine (if is important to you.) Find out how many days of sun you can expect. More moderate climates sometimes have grey days. 9. Reasonably easy access for visiting family and friends. How far are you from an airport? The nearest highway? 10. Surroundings that make you feel relaxed and happy. You want your log cabin in a place where you’ll love waking up in the morning and going about your day! Log cabin lovers are notoriously hearty and independent people who are always up for a challenge. It can be hard to admit, though, that you’re eventually going to get older: harder still to consciously plan for a future when you might be less vigorous. Take time now to evaluate what you’ll need to keep your home comfortable for the rest of your life. Being proactive will mean you’re ready for the changes when they occur, and not leave you stressed and scrambling to deal with them down the road. With a few thoughtful provisions you’ll spend more years in your dream home! 2. Large door openings. You may never need a wheel-chair accessible home, but you’ll appreciate larger door openings for ease of passage and moving furniture, too! 3. Easy-access tubs and showers. With a wide variety of choices available today, you’ll find wonderful options to enjoy forever. 4. A main floor master bedroom (or a ranch style log home plan.) If your dream log cabin has a loft bedroom suite, it can always be used for guests if stairs become difficult in the future. If you love the rustic charm of a log staircase, plan one with an easy rise and run, and don’t use a high gloss finish on wooden treads. 5. Wood heat is warm and welcoming, but make sure your fireplace or woodstove is just an alternative heat source. it’s more practical to be able to set a thermostat when you’re on vacation, or if your strength is ever limited by health concerns. 6. Electricity, cell service, internet. While it’s always a good idea to be prepared to live without these services in an emergency, your retirement is probably not the best time to try surviving entirely off grid for 25 + years. 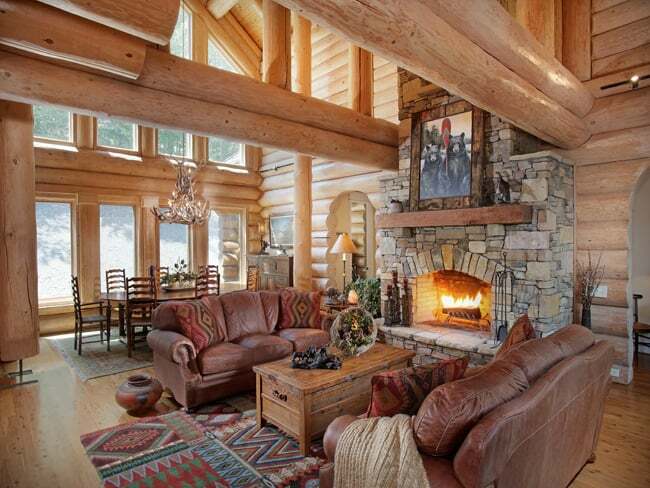 Modern log cabin living lets you enjoy the best of both worlds. 7. Local building codes will ensure that you’ve got acceptable handrails on staircases, but use your creativity to imagine where you might appreciate extra railings or benches down the road. (I could use one on my back porch for putting on snow shoes, or in my foyer when I pull off my boots!) The natural beauty of hand peeled cedar railings and log benches will add more character as well as convenience. 8. Carports or garages make all the difference when it comes to unloading your groceries in bad weather. Avoid falls (or just enjoy not having to clear snow or ice from your vehicle) with a tastefully designed log post and beam carport or attached log garage. 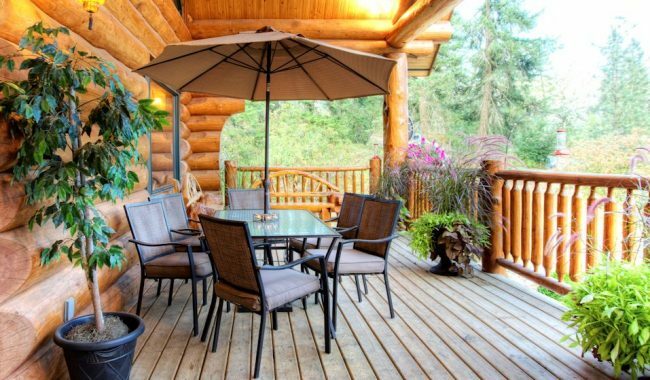 Many clients find that retirement is the right time for their log cabin home. Warm in the winter and cool in the summer, a strong shelter in extreme weather, and a cozy haven of timeless natural beauty, a log home is a hard working fortress for the best years of your life!